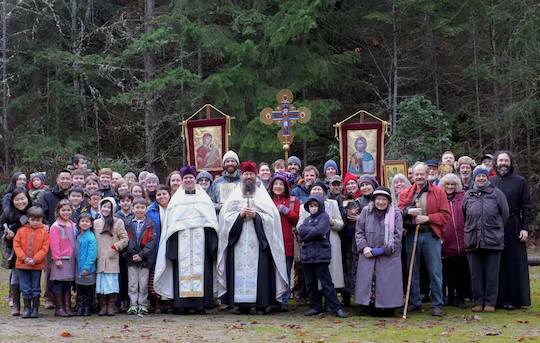 Archangel Gabriel Orthodox Church is a growing community of Orthodox Christians located in the beautiful Rogue Valley of Southern Oregon. We seek to humbly dedicate our lives unto Christ our God through prayer, participation in the mystical life of the Orthodox Church, reading of the Scriptures and Church Fathers, and through serving each other and our surrounding community. We are a mission in the Diocese of the West of the Orthodox Church in America. We currently meet at “The Shoppes at Exit 24” in Phoenix, OR – while we prepare to build a permanent Orthodox temple on our own property in Ashland. Our particular parish is dedicated to the Holy Archangel Gabriel. For direction, look here. For our service schedule, please go here. We eagerly invite you to worship with us, and we welcome any questions you may have.